Boyd Holbrook, Trevante Rhodes, Jacob Tremblay et al. DVD: 102 min., Blu-ray: 102 min., 4K Blu-ray: 102 min. The hunt has evolved - and so has the explosive action - in the next chapter of the 'Predator' series. Now, the most lethal hunters in the universe are stronger, smarter and deadlier than ever before...and only a ragtag crew of ex-soldiers and an evolutionary biology professor can prevent the end of the human race. The stinkiness of this film puts even the lamentable Venom to shame and I wasn't expecting much even before I put the DVD on. I can't quite fathom were the $90 million budget went as it wasn't spent on the script or the acting prowess of the cast. Both are about as shallow as you can get. Most bizarre moment (and this gives nothing away) : Finding half dozen Harley's in a top secret military base. Sadly this movie has no spine, no respect to the original Predator movies and ultimately nothing that stands out or is 'Cool' in any way. The Alien remakes are often stories that do not sit well with people giving the history of the franchise. The story here is totally non existent. Poorly written characters, a next to pointless plot and it is very hard to bear. People have only watched for 20 minuets for a very good reason. This only rates higher on websites that want to sell it like Amazon & Cex because they want to sell it. Of course it is not a Predator movie, I do not think it tried to be serious. For an action comedy is not bad (e.g. accidentally lobotomized alien scenes, the whole story with the kid, one dimensional characters, the members of the squad, the insane team scenes, the paralyzed scientist). 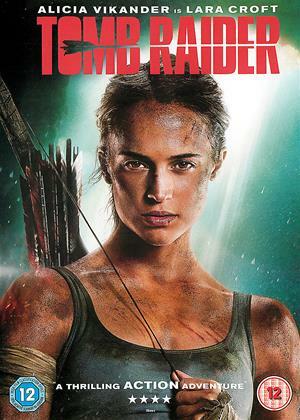 It is absolutely not that what I expected, but it surprised me, which is pretty rear from the action movies genre. Not the Worst Predator Movie , Predator 2 was really terrible , This one isn't nearly as Bad as that . 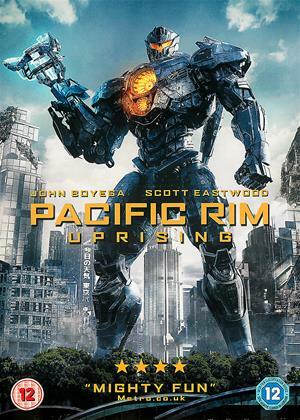 Entertaining enough ,but Not the best Sci-fi Movie of the year .not even close. Pretty Low Rent Action Movie that happens to have the Predator in. 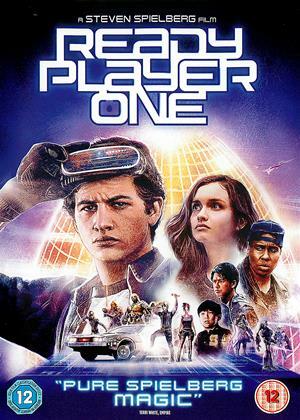 This movie started well but then deteriorated rapidly with the introduction of a bunch of misfit soldiers trying to play it for laughs along with the female scientist. I stopped watching as the dialogue and action became more and more like something out of a ghostbusters movie. Worst Predator movie ever! Look, despite the bad reviews of this film I quite enjoyed it. I think a lot of people had too higher expections of this movie because of the franchise. It's gory, tongue in cheek and not to be taken seriously. If you want an easy on the brain movie, with action, humour and gore to kill 90 minutes of your day then watch it. This is a truley terrible film if compared to the original. Infact its the worst of any Predator films by a very long way. Im wondering if shane black was trying to do something a bit different. With the kid, female scientist, friendly 'dog', misfits etc maybe it was an attempt to redirect Predator into something more 'today'. But thats not a good thing, plus the film still stinks like a Yautja's armpit. and how useless are the 'bad guys'. Im thinking the odd postman comment by the kid was related to everyones day job. As they certainly werent from any armed forces! I was willing to give this film the benefit of the doubt. But no, dont watch it. And the end? what on earth is that final scene? I have to agree with the majority of reviews, this is not even deserved to be mentioned in the same breath as the Arnie original. When will filmmakers learn that CGI blood and gore is about as realistic as tomato ketchup on a bandage. I honestly can not believe how all round awful this was, it's a tragedy of epic proportions. It's about as scary as Brexit, but slightly funnier ! The final scene pretty much sums up the whole movie, just painful ! I only lasted 20 minutes and that was it ! Acting like the Woodentops and cringeworthy lines from them as well ! Totally ruins the Predator Franchise. This is trashy bargain basement filmmaking from director Shane Black. It does no justice at all to one of the better sci-fi franchises. Our heroes are a clichéd bunch of macho military morons. 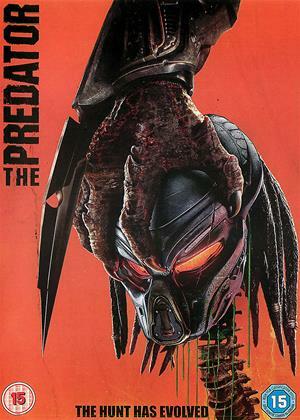 The unique Predator visual effects are minimal. It’s all just swearing and running around with big guns. “Can I interest you in getting’ the f--- out of here?” asks one. “Getting ’ the f--- out of here is my middle name,” replies another. That’s the moronic level of the dialogue. As the plot and characters are ludicrous, there’s so little drama that the action becomes tedious. The hip-hop ditty playing over the trailer is another example of the incompetence shown in the whole project. Can't express how annoyed I am with this travesty of a film. Considering it was shane black, very disappointed. I love the first film and the second is ok. The follow up different variations have been poor, but good grief this was awful. Having a kid in it and various plodding sub story lines, that just dragged on. Just very very poor. Avoid like the plague. Look, Shane Black gets it. There’s very little direction that the Predator franchise can go without going down in a flaming heap of exhausted ideas. Taking it too seriously would be a bad idea; a feeble attempt to relive the glory days with many asking why they wouldn’t just rewatch the original. 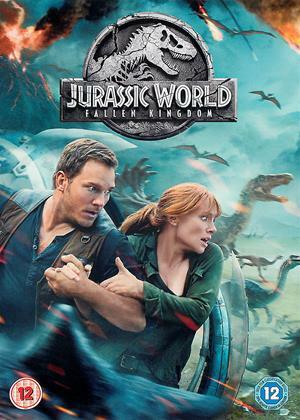 Turning it into a PG-13 action is just as bad of an idea; watering down all the elements to be a passable and forgettable blockbuster, taking a meager amount of money and running. And so Black takes the road that may not be the highest, but certainly the most winding, weird, and fun. The result is a messy one, but it may be as good a Predator retread as we’ll ever see. Black gets down to business quick. In mere seconds, we’ve already got our Predator crashlanding on Earth. A few minutes later, our hero of a mercenary sniper (Boyd Holbrook) is already doing battle with the camouflaging alien from another galaxy. The next thing you know he’s hiding Predator armor in a post office box and swallowing a cloak-tech sphere so the government doesn’t find it on him. Sounds pretty dumb, but you’re just going to have to go along with it if you don’t want the film to be lost in exposition. This frantic and often jokey writing keeps the picture moving through the lesser scenes, such as the quintessential alien dissection scene that is usually a bore of explanations. It’s more fun to listen to Olivia Munn as the lead Predator expert questioning why to call it the predator when it doesn’t hunt to survive. Hardly any of this story is taken without a wink and for good reason. The secret plan of the visiting Predators revealed in the second act is nothing special. In fact, it’s pretty damn boring and convoluted as any sequel spiraling out of ideas for such a simple concept. And so Black turns the routine into the silly. Yes, we will get a team of mercenaries that go on the offensive against the terror from outer space. And they’re all played up for laughs, from the cackling Keegan-Michael Key to the Tourette’s Syndrome riddled Thomas Jane, spouting vulgarities which may or may not be intentional. And just in case there weren’t enough plots spiraling this action-horror hybrid out of control, there’s the addition of McKeena’s kid played by Jacob Tremblay with a case of Asperger’s Syndrome. And if you thought the use of autism in The Accountant was absurd, just wait until you see this condition used for the most insane of plot twists so otherworldly nutty I doubt you’d believe me if I told you. This gung-ho direction sometimes works. It at least meshes well enough with the over-the-top gore that pushes the blood and guts to ludicrous extremes, working hard to earn that R rating. Guts are spilled, holes are made in stomachs, and the red is spilled by the gallons. There are plenty of moments to make one wince and laugh at the same time, as when the Predator rips open a human face and later impales another in the groin. Ouch. It’s also somewhat satisfying to watch McKenna’s kid wearing the oversized Predator helmet that can attack anybody who attacks him. There’s also a brilliant lampoon about how McKenna tells his son the difference between a soldier and a killer is that a soldier doesn’t enjoy killing. It’s a lie; he’s having a blast and his son knows it. The Predator is a mess but in its chaos is some fun stuff. As it goes on, the need for silliness turns the picture dumb. I mean, really dumb. But it’s very clear that Black is winking at us all along the way, letting us know never to take this story to seriously, as though he’s shooting for a more campy Predator knock-off than a genuine Predator movie. It’s homage film more than anything but a tribute in the same vein of a comical satire. And from that angle, The Predator is more enjoyable amid the other forgettable retreads of 1980s properties.